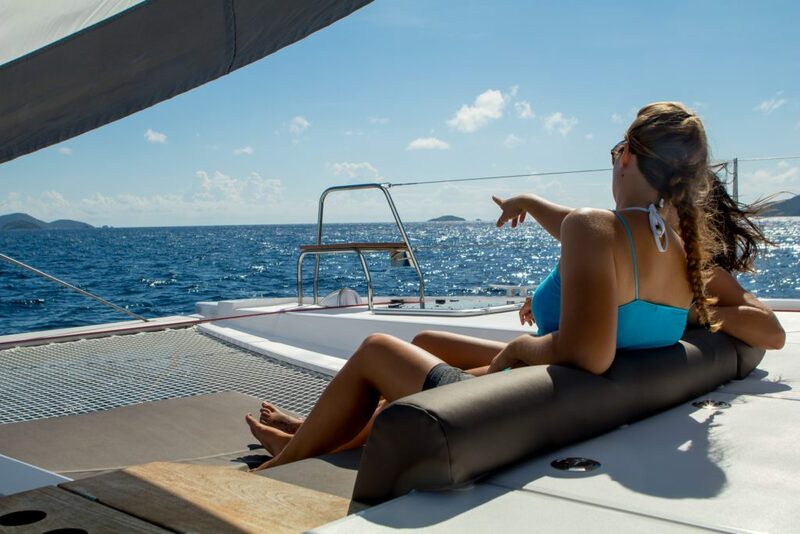 Discover why the British Virgin Islands is known as the sailing capital of the world and there's no better way to explore them than open a luxury fast and stable sailing Catamaran, your qualified ASA sailing instructor will guide your through the 50 Cays and Islands that make up this unique Island chain. The BVI's are a unique cruising ground unmatched anywhere in the world, lush green mountains, azure blue seas, coral reefs, secret bays and untouched beaches are plentiful, warm winds blow all year round and the temperature only varies around 10 degrees F from season to season, Spring is a great time to experience the Caribbean as the strongest winds have subsided, the crowds have disappeared and the mooring fields always have space for one more sailboat, join us for an amazing week of sailing, fun, adventure and also practice your skills navigating, helming, anchoring and mooring in a safe and controlled manner. 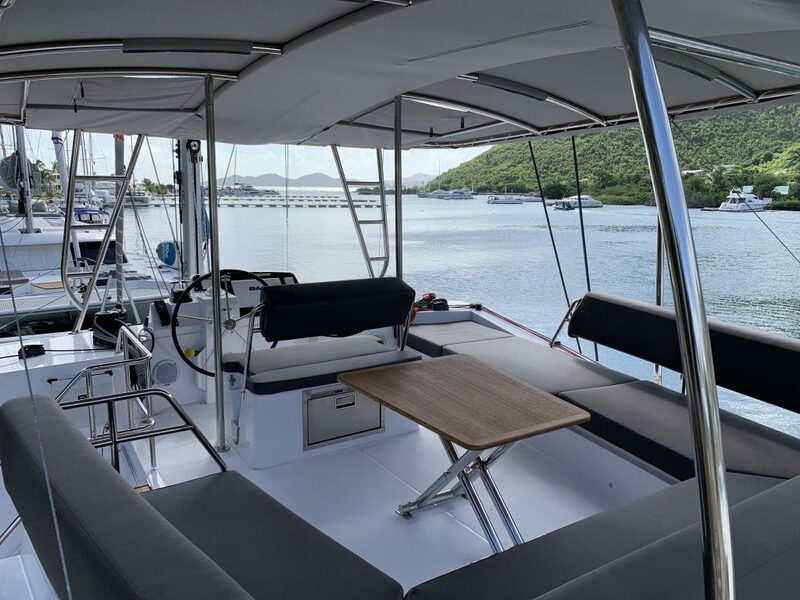 We have secured some amazing deals on modern Nautitech Catamarans through Horizon Yacht Charters for 7 days sailing in Paradise! Cabin prices are $2595 per person on a Nautiech 46 Fly or similar Catamaran based on double occupancy . 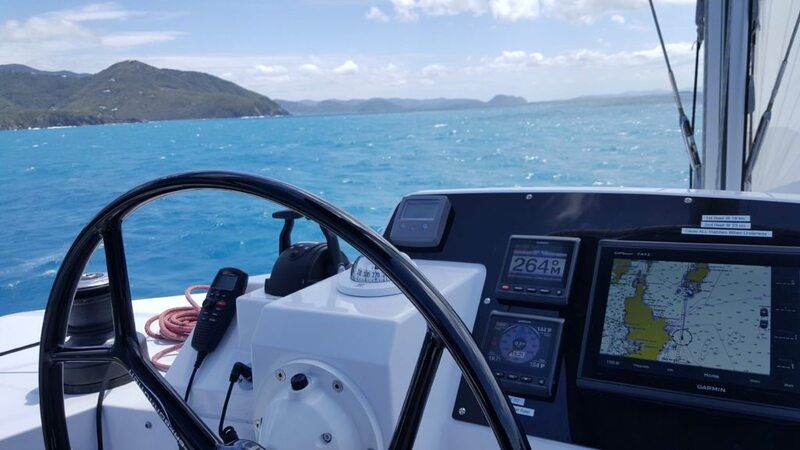 Package prices include charter fees, flotilla fees, mooring fees, National Park fees, cruising permits, VISAR fees, beach party, closing party, provisioning (including 7 breakfasts, 7 lunches, snacks and 1 dinner aboard), water, fuel, charter insurance, and 7 nights aboard your sailing vessel. Qualified ASA Instructor / Skipper. Let’s start at the top! 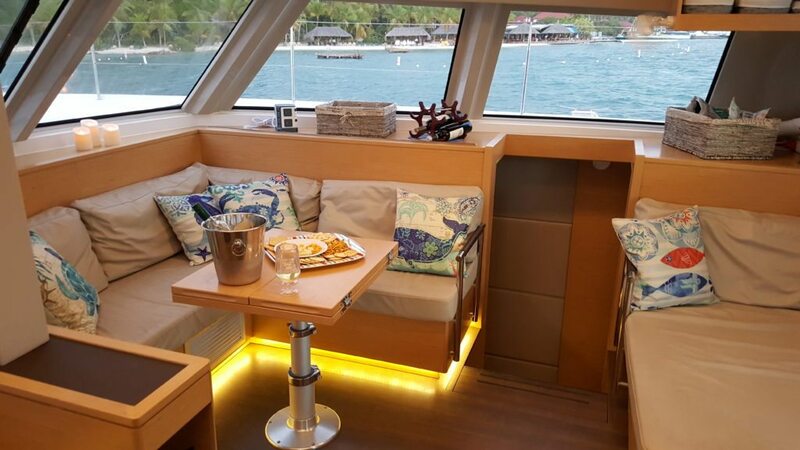 The Nautitech Fly 46 catamaran seats 10 with ease on the upper deck and has a vast amount more space here than any other cat in her class. 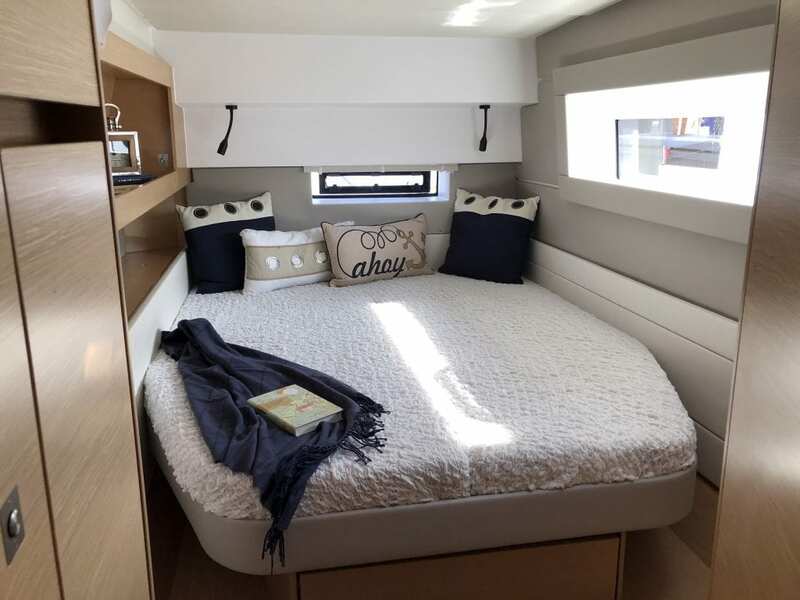 The Fly 46 is luxuriously appointed throughout, with beautiful light oak joinery, a hard wearing walnut synthetic veneer cabin sole, and the signature “Open’ concept cockpit, that combines with the saloon, to give a huge, single level space, for true panoramic sailing and living. 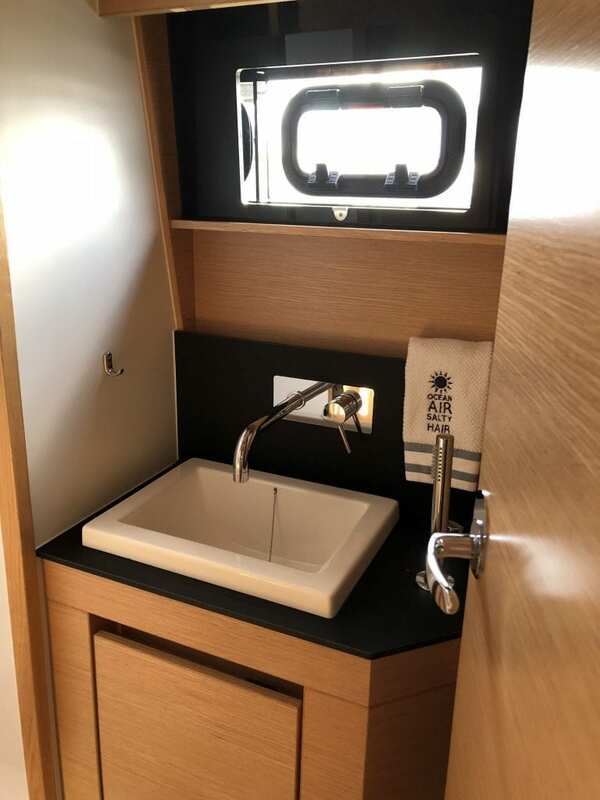 Uniquely, the 46 has 6 interior showers in this 4 double cabin configuration. 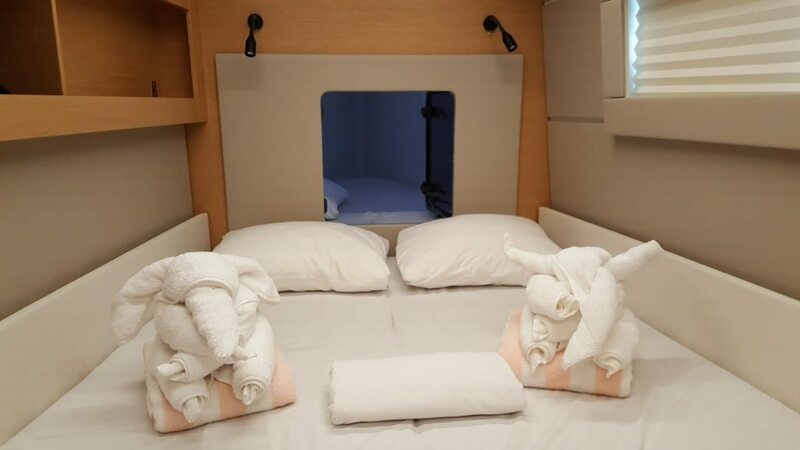 In addition to the 4 heads with showers, each hull also has a dedicated shower cubicle – perfect if you want to keep the heads as ‘dry areas’, or you need to get 6 teenagers to a dinner reservation on time. There are single berths in the forepeaks. 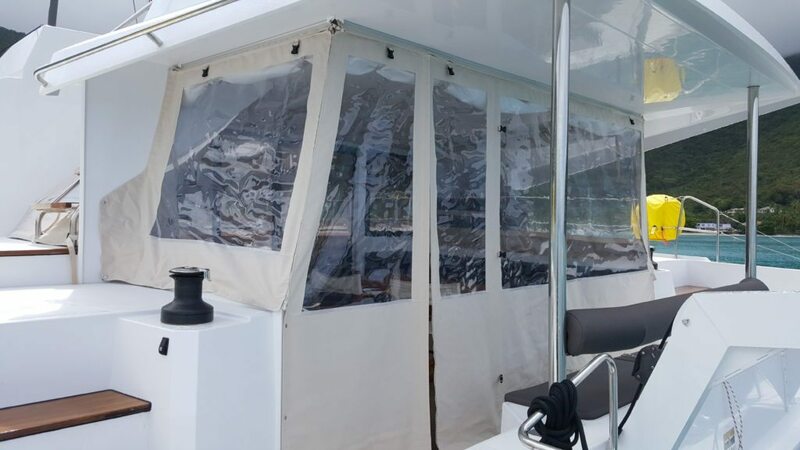 This Nautitech Fly 46 catamaran has a roller-furling mainsail with battens. A self-tacking jib makes life simple, and you can be under full sail, single-handed in under a minute. 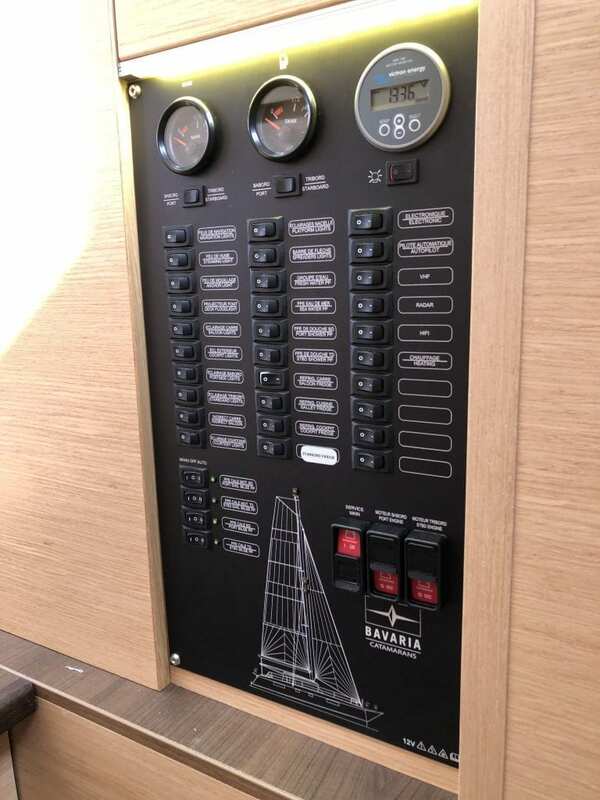 Add horsepower with an optional gennaker* flown off the bowsprit. With the downwind sail set on a continuous furler, it is as easy as rolling out your jib.